Silk is a fashion theme for storytellers who appreciate the beauty of expressing themselves. 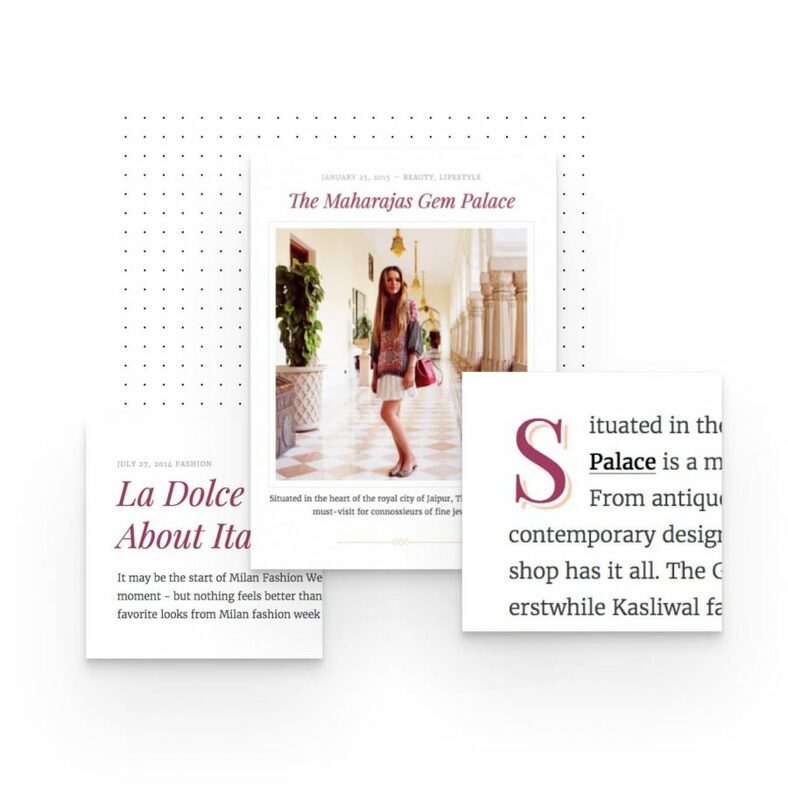 We gathered a set of graceful fonts to help you shape a consistent experience for your readers. 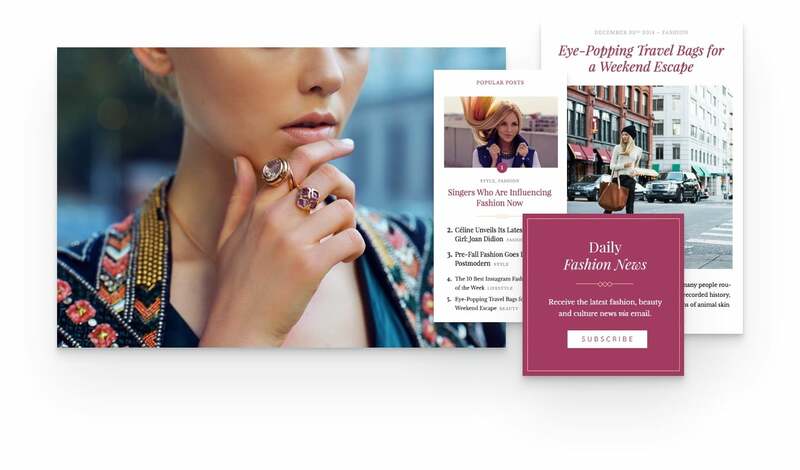 They perfectly match the entire look‐and‐feel of the website and makes it remarkable. We put together finely detailed elements and subtle interactions to make your site look amazing. You can amplify the power of these small gestures and offer a lovely tempo for your visitors. We crafted every design item to help you draw a complete experience. You can grab people’s attention with those tiny things that make a difference and place you among the best. Grow a loyal community of beauty fans with Silk! Inspire the challenging world of fashion lovers with a blog that fits your mojo.